Happy Independence Day for us, Finland! 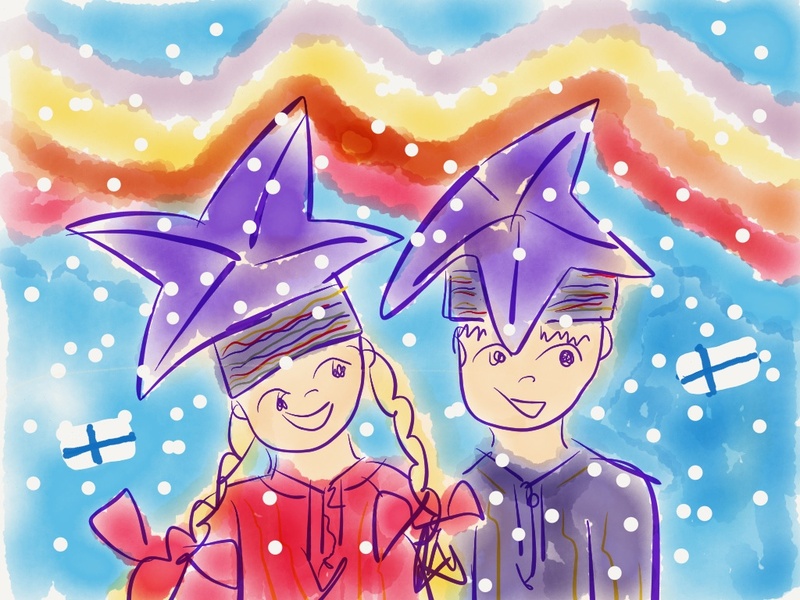 The elves met on their way to Korvatunturi, Lapland, these two Sami children. It was nice to meet other Finnish children, who can speak another language, like ”saamenkieli” in Finnish. The children and the elves are celebrating this day in the arctic hill. They may soon see also the fireworks of Nature, the Northern lights, like some say Aurora Borealis. Happy Independence Day, Finland! 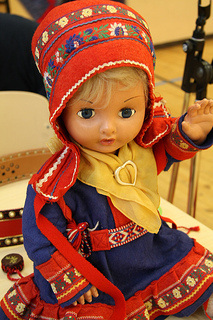 We are Finnish Sami children from Lapland. Drawing of Santa Claus Blog.